I was a 12-year-old boy, when I started to crave for the girly things, the headbands, the nail polish, the lipstick and the mini skirts. I do not remember when this started but somehow it has started and was getting augmented day by day. I did not know what I should do or whom I should discuss this with. I could not withstand the conflict between my body and mind, any then and one day, I asked my mother to teach me how to drape a sari. However, when my father came to know this, he wailed and lamented, bet me up and I was threw away to the streets by my family, and then I draped my own sari. Written as a part of FSF by Lillie McFerrin. This week's word is 'Conflict'. He was sitting restlessly over the edge of the crippled stone-bench, his shaking hands adjusting the glasses over his nose first, and tapping the walking stick on the ground, that his age and his family had gifted him in concern, next. He bent over, examined the road, sighed, mumbled something to himself, nodded his head, rubbed his fore-head, pulled his ears, and then bent over to do it all again. He was waiting for his friend, a companion he found who matched his age, who soothed his emotions, and the park hours were their happy hours as they both had the same sort of experiences and expectations to talk about. He waited and waited, that day, the next day and for the following three days, until he learnt from one of the regular walkers of the park that the old man's companion had passed away all of a sudden, without saying a word to his waiting companion. Then he realized that he need not wait for his friend anymore, but for his day, to leave. written in response for FSF by Lillie McFerrin. This week's prompt is 'waiting'. He was a hard-worker, and that had brought him to the best college in the country. The first day, when he held the college map in scrutiny, he felt a lump in his throat, jumbled emotions of happiness and anxiety ran throughout his body. The next year, when he took his juniors throughout the campus, he smiled to himself thinking of how humongous the college appeared on his first day, and wondered how he was affiliated to its nook and corners in a year's time. 4 years of ardent learning and the desire to achieve the unreachable heights, revealed him to the best recruiters and within the campus, his future was mapped to excellence. Today, as he wiped of his welled eyes to catch a better glimpse of his college, when his private chopper flew above it, the college was growing smaller and smaller but the vision it gave, grew wiser and sharper! Written as a part of FSF by Lillie McFerrin. This week's word is MAPS. "Young women and men, the time we have dreaded so far is finally here! ", the eldest of the army announced in a tone of bewilderment. A wave of agitation arose among the rest of the army and some of them started to shiver,thinking of the days to come. "Take a breath, relax, collect whatever you have saved and most importantly never leave track of your fellow members, when we start moving", he wavered his hands, promising them hope. The next morning, they marched on their tracks, studiously following the head of the army, toting the gathered food carefully on their heads. It rained that night, the next day and the next night, monsoon as it was, but the wise and bustling army of ants was safe and secure in their newly found air pockets, well before! 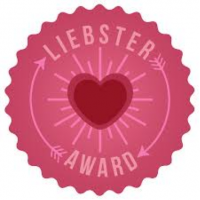 In the month of June, i received yet another nomination for the Liebster award from a blogger whom i respect a lot for her spirit and the excellent content she weaves. I was extremely happy and a bit worried whether i was fit and eligible for an award from her. She is Mrs. Usha Menon who blogs at Kuch Katta Kuch Meeta. Thank you so much ma'm and please accept my true apologies for making the response this late. I loved answering your questions and i hope and pray that i would do sensible blogging and keep up the belief that you have in me. Thanks again, there is nothing more to talk about me, i have already done it here and i am answering your questions right away. Satisfied of having raised wonderful kids, utilizing my time more efficiently. An arranged marriage. Love surely comes after. I wanted to test my creativity and my husband inspired me to start one. 9. How much do like Face book and Twitter? I like face book, it is a pleasure to see and share photos as well as feelings with friends and foe. The Deccan Chronicle, somehow, it impresses me. Congratulations, thanks again and i wish and pray that you keep on inspiring us with your energy, enthusiasm and words.